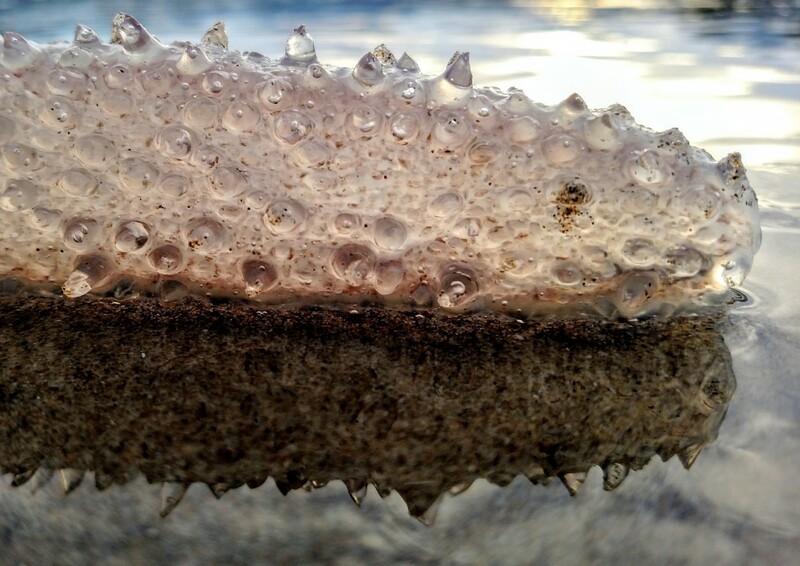 We’ve invited guest author, Steve Grace, to talk about strange creatures washing up on our shores in a series of posts, beginning with pyrosomes. Just a few weeks ago, Marine Reserves Program researchers observed them while conducting dive surveys at Cape Falcon Marine Reserve. ODFW researchers also saw both live and dead pyrosomes during Remotely Operated Vehicle (ROV) surveys at Cape Perpetua Marine Reserve. 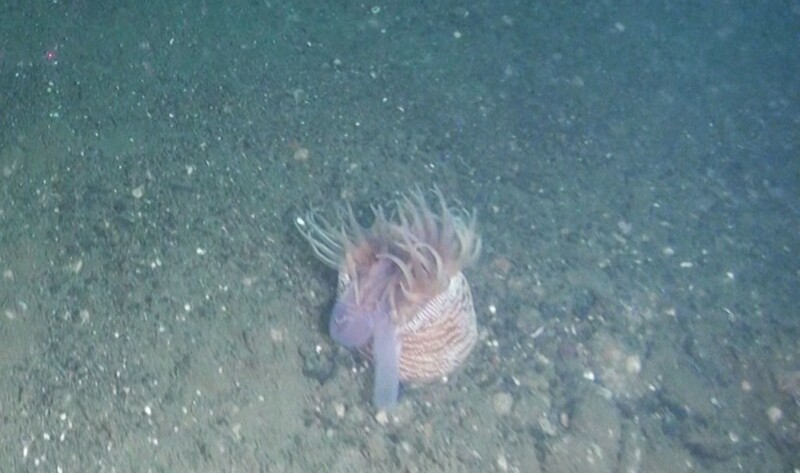 In early June, ODFW Marine Resources Program researchers collected some amazing underwater footage of them, which you can watch in the video below. Research footage collected by ODFW’s Marine Resources Program, showing what biologists are seeing offshore and at the docks. This footage was collected in May and June, 2017. In past years pyrosomes were rare finds on Oregon beaches. But in the winter of 2016 – 2017 they became as common as kelp in driftlines along the shore. In the spring they washed up in astounding numbers, awing beachcombers and spurring scientists to study why these creatures were appearing in unprecedented swarms along the Oregon Coast. A pelagic tunicate closely related to salps, a pyrosome looks like a plastic tube roughly the size and shape of a cigar. The creature feels like a firm, pimply cucumber—a texture much different from the smooth squishiness of a jellyfish. 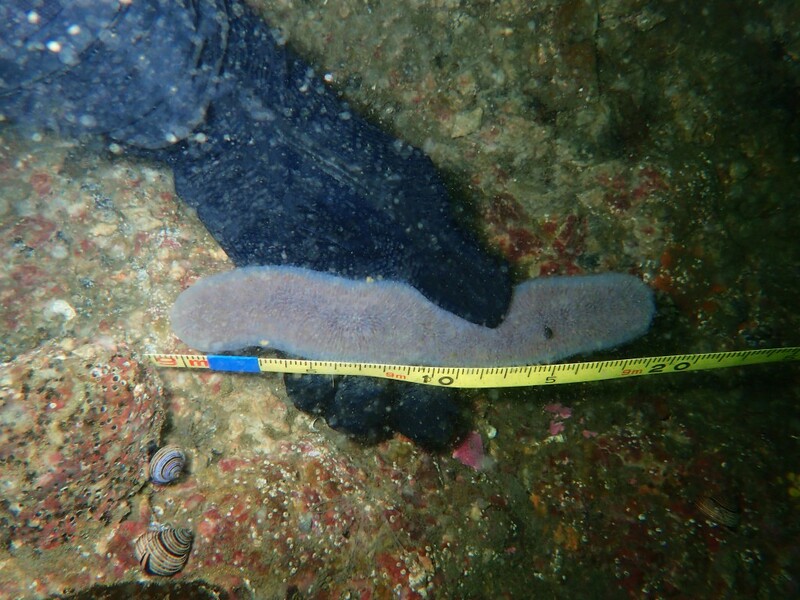 Though pyrosomes are usually less than six inches long, they can grow to two feet. Often colored pale pink, they sometimes have a bluish or yellowish cast. Locating live pyrosomes trapped in tidepools is a challenge. I have yet to see one light up as they do at sea. 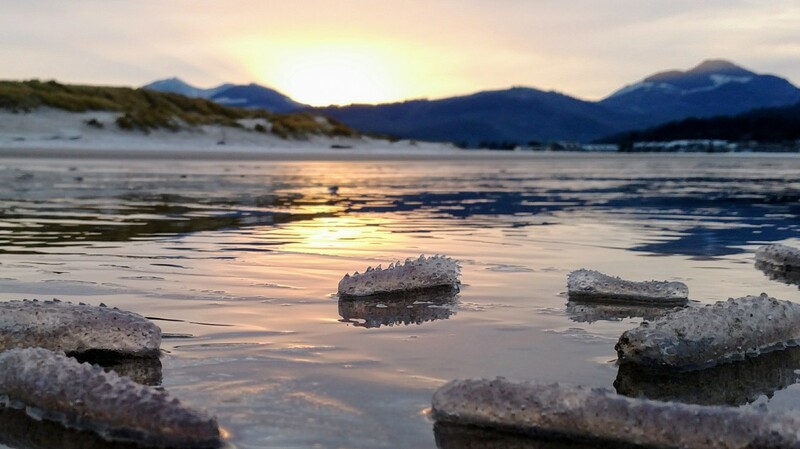 This spring I had to settle for dead beach-cast pyrosomes illuminated by the rising sun as I studied the creatures with a hand lens, trying to discern individual clones, each one about a centimeter long. A pyrosome isn’t a single organism. Rather, it is a colony of tiny cloned creatures called zooids that share a common cylindrical tunic. Upon close examination with the unaided eye, or with modest magnification, a zooid’s stomach looks like a miniature wire basket. Each zooid inside a pyrosome possesses light-producing organs. The zooids within a colony light up in synchrony, and colonies within a swarm coordinate their luminescence, possibly using light signals as a form of communication. Every pyrosome colony is a teeming world of little beasts working together to filter seawater for plankton. Their rocket-ship-like structure draws in water with the current created by all the creatures beating their slender cilia in sync. When the seawater that’s pulled into the tunic is pushed out the wide opening opposite the pyrosome’s tapered tip, jet propulsion moves the colony on its daily migration. This epic journey can span up to 2,500 vertical feet each day. A colony rises toward the surface in the evening and descends to the depths at dawn. Hitchhiking shrimp and other crustaceans live inside these traveling tunics, and pyrosomes are preyed upon by fish, dolphins, and whales as colonies journey up and down the water column between the ocean’s sunlit surface and lightless depths of sea. Though a colony can propel itself through the water, it is still a planktonic creature at the mercy of currents, and strange weather patterns deliver these strange beings to our shores. While the recent pyrosome invasion stoked awe and wonder among beachcombers, the creatures clogged research nets, fouled fishing gear, and concerned scientists with their potential impact on the marine ecosystem as they gobble vast quantities of plankton, depriving other creatures of that critical food source. They could also deplete oxygen levels in the water with their decomposing corpses. Even more bizarre than the species Pyrosoma atlanticum that covered Oregon’s shores are some of its pyrosome relatives in tropical seas. The species Pyrostremma spinosum is a glowing tube that can grow to a hundred feet, a serpentine creature longer than two buses parked end to end, and wide enough to engulf a person within the cavernous depths of its soft tube. When I walk the beach at night and my feet kick up sparks of bioluminescent algae in the sand, I imagine stumbling upon one of these luminous beasts that has drifted from the coast of Tasmania to my local shore, and I think about crawling inside its glowing body beneath the starlit sky.